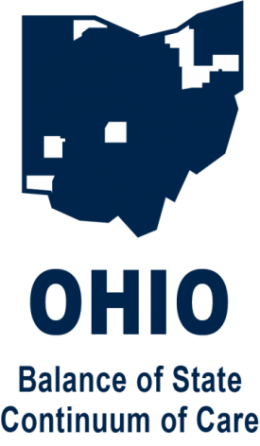 COHHIO provides Homeless Management Information System (HMIS) training for the Ohio Balance of State. New User Trainings are held the second Tuesday of each month from 10 a.m. to 2 p.m.
Registrations for all trainings are on a first-come, first-serve basis and will be limited to twelve participants per session. Email Matt (mattdicks@cohhio.org) or Amanda (amandawilson@cohhio.org) to register. Please provide the following information with your registration: * Name of person attending, * Email, * Phone, * Agency, and * Projects for which you are or will be entering HMIS data.